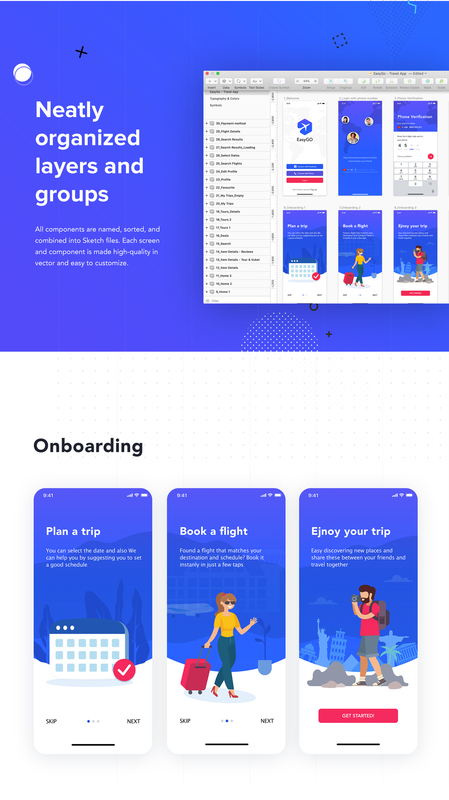 EasyGo – Travel App UI Kit is a high-quality pack of 30+ screens designed to kickstart your travel projects and accelerate your design workflow. 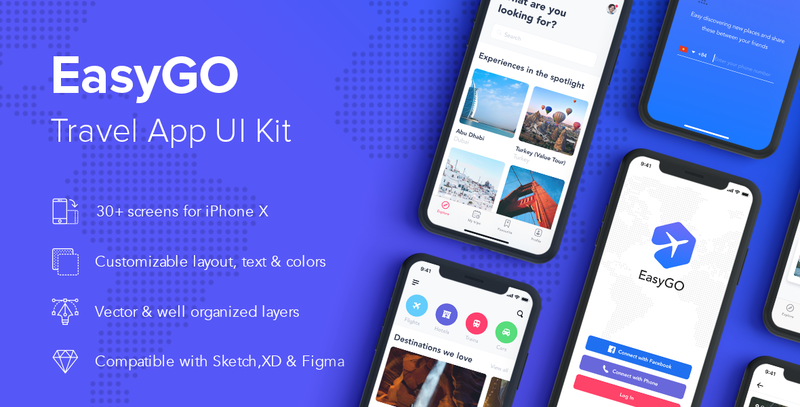 This kit is 100% compatible with iOS & Android systems. 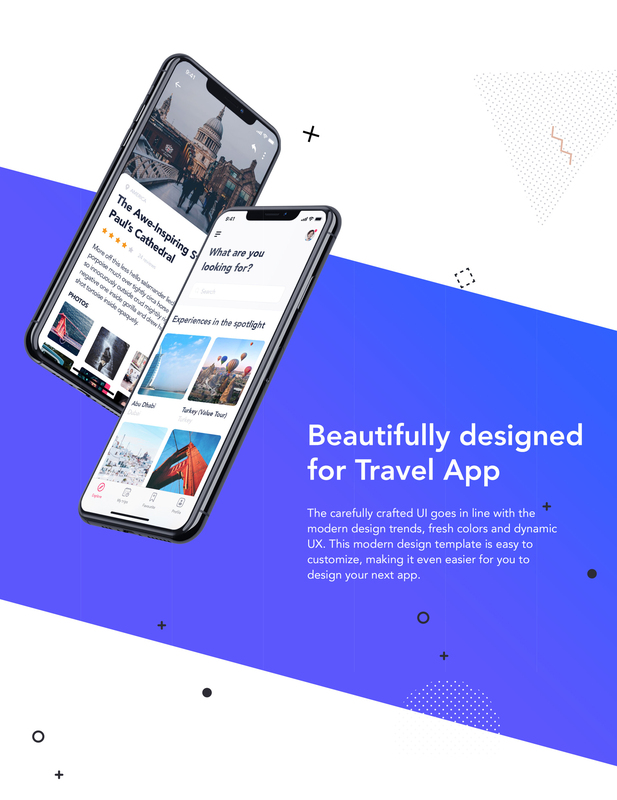 The carefully crafted UI goes in line with the modern design trends, fresh colors and dynamic UX. 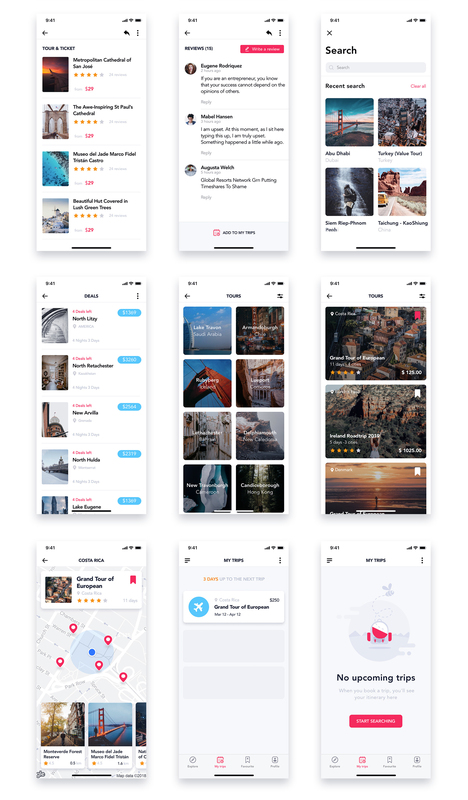 This modern design template is easy to customize, making it even easier for you to design your next app.